It's time for the "Cooking with Linux (without a Net)" show where I do cool Linux and open-source stuff, live, on camera, and without the benefit of post video editing, therefore providing a high probability of falling flat on my face. 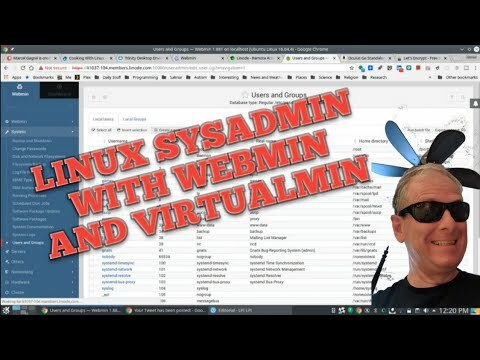 On today's show, we cover remote Linux system administration using Webmin, a web-based, do-it-all admin tool. As a bonus, we explore Virtualmin, a Webmin extension that can turn you into an ISP by making it easy to manage accounts, multiple users, domains, permissions and everything else you need. It's a completely free alternative to pricey products like cPanel. Finally, I take a shot at yet another never-before-tried Linux distribution: Trinity PCLinuxOS. Also, in case you don't already know, this is a prerecorded show of a live YouTube broadcast.